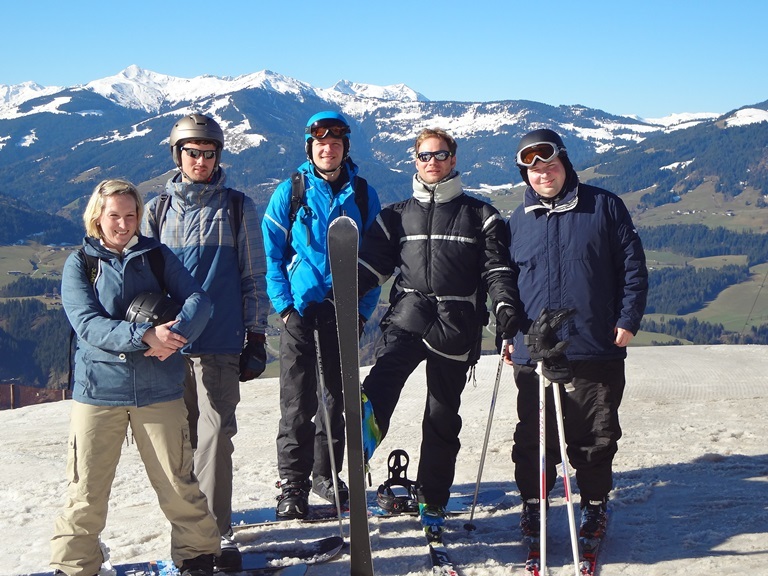 Eleven Goodgamers, one ski region, and 22 degrees celsius: perfect conditions for a wonderful week in Austria. March saw the start of our winter sports trip, organized by our colleague Anett – we both work together and we’re always thinking up new things to do together socially. The group traveled south from Hamburg’s Hauptbahnhof to Hopfgarten, near Kitzbühel. From there they continued in radiant sunshine up to the Wilder Kaiser ski region, where the slopes had to be topped up with artificial snow as a result of balmy summer temperatures. Our GGS group was made up of four skiers and seven snowboarders. Some of the snowboarders were on the slopes for the first time, and although they attended a beginner’s course, they still suffered a harmless fall or two. Luckily our colleagues came away with nothing worse than some minor cuts and bruises. 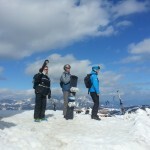 In spite of these, lots of fun was had by all, and everyone was confident enough to face the piste again the next day. 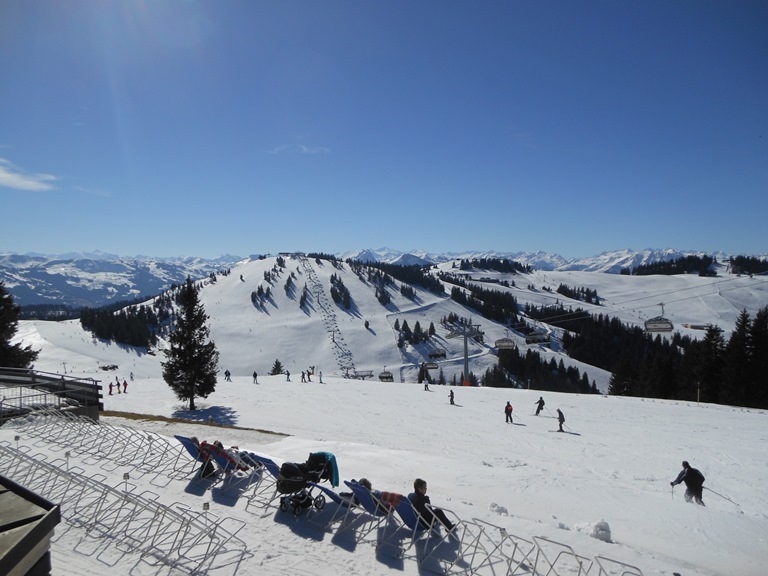 Our colleagues rented a large chalet where they could relax and recover after a day on the slopes. In the evenings they spent time cooking together and playing party games, since sadly the après-ski season had ended already. This couldn’t dampen everyone’s high spirits, however. Everyone who went would like to thank Anett for organizing the trip, and we’re sure this won’t be the last excursion that we undertake together.